Whether you're a small business operating out of a single location or a Fortune 100 corporation with a massive footprint, The Complete Logistics Company has the resources, people and expertise to help manage and grow your business. Since 1988, CLC has provided logistics and supply chain management services that are fully customizable to any size enterprise. Imagine - an entire transportation fleet at your disposal, and a robust warehouse support structure - complete with industry experts and technology - ready whenever you need it. By forming a strategic partnership with CLC, you realize all of the benefits of outsourcing, plus consistent, reliable performance and an unconditional commitment to service. No Capital Outlay: CLC has the resources and technology required to support your business. 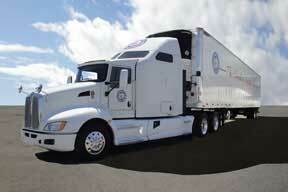 No Liability: CLC assumes complete liability for all vehicles, equipment and personnel. Scalable Resources: You have the flexability to increase capacity or trim operations day to day. Leveraged Workforce: Improve accuracy and quality of service with cross-trained personnel. No Maintenance: CLC conducts stringent preventive maintenance checks and prompt repairs. Reduced Costs: Trim expenses such as insurance premiums, staff recruitment / training and many other administrative functions. 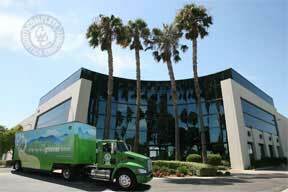 Reduce Waste: With careful planning, CLC can reduce or eliminate empty miles and improve operational efficiencies. Retain Control: Monitor your operations with state-of-the-art software programs and metrics. Branding: Your corporate logo can be placed on CLC vehicles, promoting your brand and giving the appearance of a private fleet. Strategic Partnership: Working with CLC brings all of these benefits to your organization. When outsourcing to CLC empty miles are a thing of the past. Insurance premiums are reduced and you no longer experience the headaches associated with maintaining vehicles. Truck breaks down? CLC dispatches an immediate replacement. Driver calls in sick? CLC has a back-up staff ready to go, already trained in your company's specific procedures. The type of vehicle you specify arrives and a qualified uniformed driver delivers the goods. Managing a warehouse operation is a huge undertaking and can present many challenges, particulary when it's not your core business. 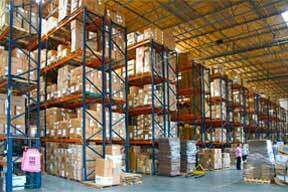 By partnering with CLC you gain the advantage of a full warehouse support structure. Scalable models allow you to benefit from 100% of CLC's expertise and infrasturture, while only incurring a fraction of the overhead.